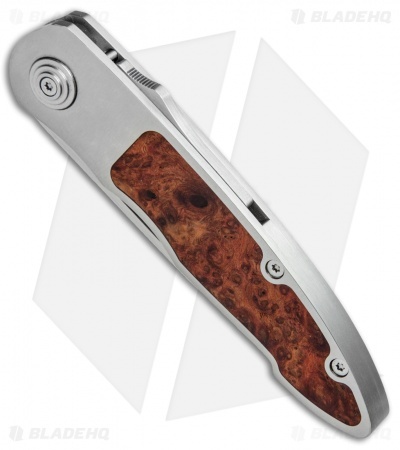 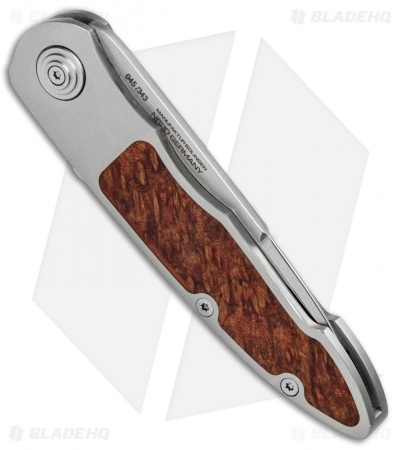 This 1674 Series Merlin model features a stainless steel handle with amboina root wood scales and a mirror polished blade. 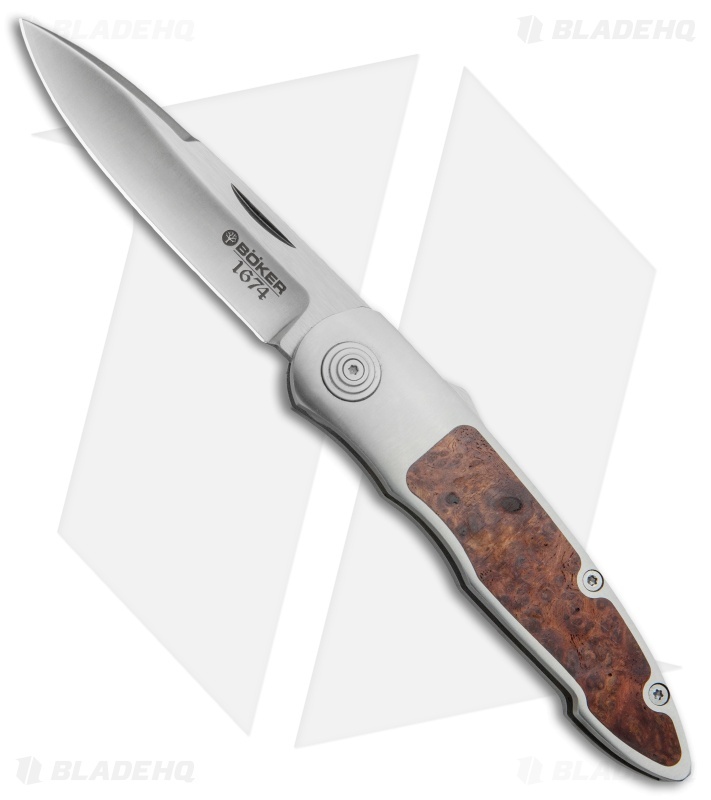 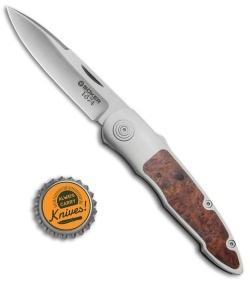 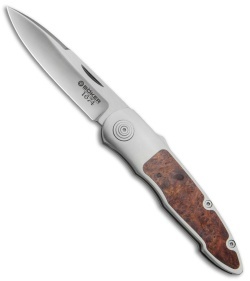 The Boker Merlin Manual Folding Knife is a sleek design from Solingen knife maker Wilfried Gorski. He is a member of the German Knifemaker's Guild and boasts impressive technical skills, elegant designs and engineering ingenuity, as seen in the Merlin. This gentleman's knife has an N690BO steel blade and stainless handle with amboina wood inserts and a slim build (no pocket clip). W. Gorski's patented interlock system provides a simple means of disengaging the blade using a sliding tab on the spine.